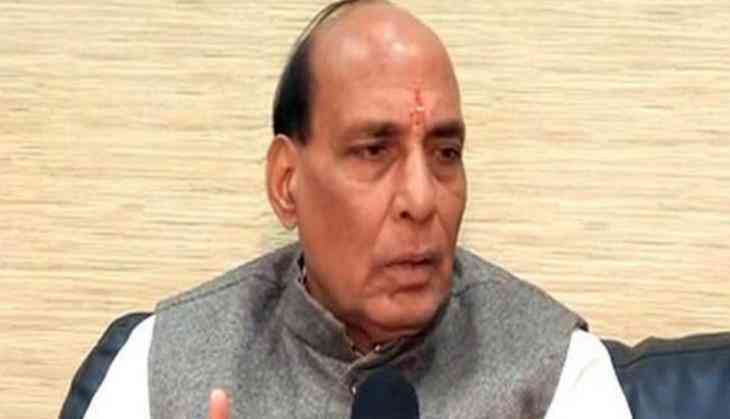 Union Home Minister Rajnath Singh will embark on a two-day visit to Jammu and Kashmir on July 4 and 5. Singh will visit Amarnath shrine on July 5 and will also chair a security review meeting in Srinagar city. Since few days, the state has witnessed a huge spurt in terror activity. The first batch of Amarnath yatra flagged off on June 27. It was, however, halted on June 28 due to heavy rainfall at the Baltal base camp. The yatra was resumed a few hours after the water cleared out and weather condition improved. Nearly two lakh pilgrims from across the country have reportedly registered themselves for the Yatra. Security measures have been taken keeping in mind the ceasefire violations from across the border and various other terrorist activities in Jammu and Kashmir. On July 10 last year, at least nine Amarnath pilgrims were killed and 19 others got injured in an attack on the bus in Anantnag district.